This morning at work, I was feeling heavy hearted. Rita dropped by with a hug , some kombucha, and a couple of journals. Later, Ana gave me Harmony Tea and a beautiful leather bracelet that says “Choose Joy.” Also, a hug. 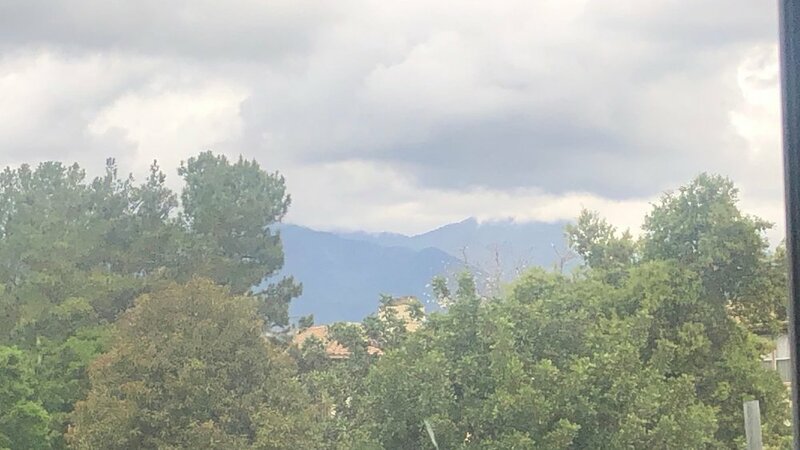 I sat in my chair and looked out to the mountains. My heart welled up with gratitude. I said, “God, you are taking care of me. You see me. You are so good to me.” Tears fell. I grabbed my phone, opened up Bible Gateway to Psalm 21, and clicked on audio so I could let the words fill my soul. Thank you, God, for bringing me back to this place. To this school, to this office, to this view of the mountains to remind me that my help comes from YOU. That you are watching over me. Thank you! I began to feel hopeful and a bit lighter. My friend Wendy came in and saw I was crying. Every single day, the Lord sends His help to me…in just the form I need in that moment.